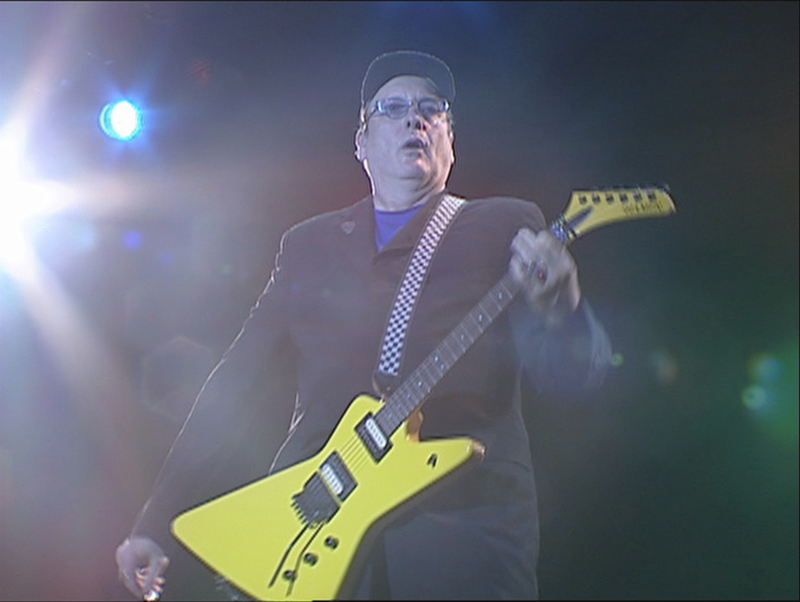 In August 2001, a WTTW11 crew met guitarist Rick Nielsen in advance of a Cheap Trick show at Navy Pier. We had a backstage pass and front-row tickets. This interview and performance haven’t been seen in 14 years. Chicago bandleader Nicholas Tremulis conducted the interview, and Rick Nielsen brought a typically fun approach to the conversation. Nielsen spoke of life on the road, his affinity for the Midwest, and even the recordings he made for John Lennon’s final album. Original drummer Bun E. Carlos was absent that night due to a back operation. Rick Nielsen’s son Daxx filled in on drums with the band, which also featured the classic line-up of Tom Petersson on bass guitar and Robin Zander on vocals. With news of Cheap Trick’s upcoming induction into the Rock and Roll Hall of Fame in 2016, WTTW11 is pleased to share another treat from the video vaults. In 2001, a WTTW11 crew visited Schubas Tavern to interview rising singer-songwriter Neko Case – and to record a performance with her band, Neko Case & Her Boyfriends.